I’m betting this is not the kind of newsletter any principal would ever want to send, any student would ever want to receive, or any parent would want to see. But this is the reality for communities all over Christchurch right now. So please don’t just sit at home and mutter. Online, in polls, sign the petition, write to your MP, write to h.parata@ministers.govt.nz, the Ministry of Education, john.key@national.org.nz, local newspapers, anyone. Because if you sit by seething, muttering or crying, but do nothing, then you are taking the side of those proposing these moves. 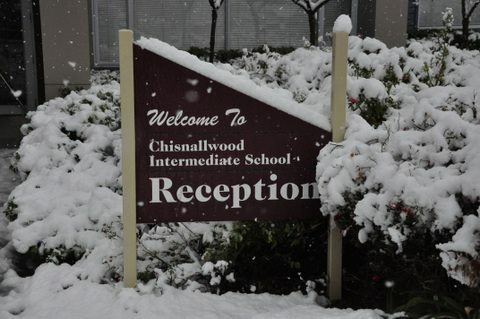 Over the last two weeks it has been our deliberate policy to gain as much information as possible about the proposed closure of Chisnallwood Intermediate. a. What is the academic reasoning behind the proposed closure of the biggest Intermediate in the South Island, a high performing school? (ref our latest ERO report). b. What the fiscal parameters guiding the discussion are? c. Where the social evidence to support this decision is. In other words we are keen that the Government shares this information with us as well as their method for gathering the evidence pertaining to the social implications of the blending of “cultures” and “subcultures”of the wider eastern part of Christchurch. We also want to know how this information has impacted on their decision to create a year 1 to 13 school in Wainoni Park and the closure of Chisnallwood Intermediate. d. The content of our DEE Report including the status of the land at Chisnallwood Intermediate. These and other questions are being submitted to Ministry of Education and their answers will be conveyed accordingly. At other meetings I was personally assured by Coralanne Childs, Nicky Wagner and The Rt Hon Gerry Brownlee, that all consultation would be undertaken with honesty and integrity, and assurances given that any alternative proposal for the reshaping of education in the eastern suburbs would be taken and considered with the best intent of all involved. These are strong statements and are accepted with the sincerity they were offered and have been minuted accordingly. Meetings have also been held with the Rt Hon Lianne Dalziel and Cluster meetings begun with the members of the geographic cluster we have been placed in. The Board of Trustees will now meet to determine our next step as the wider impact of this proposal becomes apparent. After this meeting you will be informed of forthcoming public meetings and ways your voice can be heard by decision makers in Wellington. And to the Chisnallwood students….. It is important your voice is heard also. Keep reading these Newsletters, watch the Newspaper reports and with your parents go in to social media sites because this is history in the making. it is actually about you..!! This is about your school…!! It is about you having your say. t is about recognising and acknowledging you for who you are. 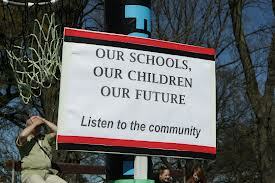 It is about you asking your politicians why your school should be closed.